Biyi is a senior associate at BPEA. He sources, analyzes, conducts due diligence, and monitors BPEA’s fund investments and direct investments. 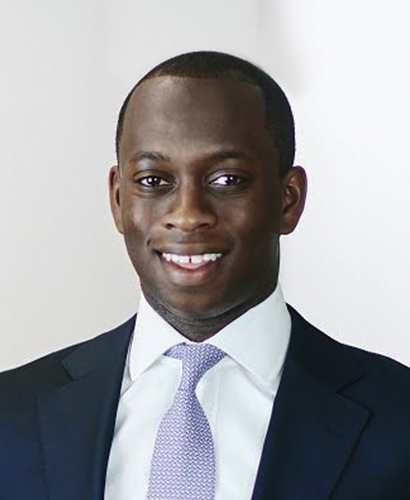 Prior to joining BPEA in 2017, Biyi was a research investment professional with the private equity team at StepStone Group, where he supported the firm’s fund investment and direct co-investment strategies. Prior to StepStone, he was a private debt analyst at Partners Group, where he focused on middle-market mezzanine and senior debt investments. Biyi began his career with Deutsche Bank as an analyst in the Financial Sponsors investment banking group. In 2017, Biyi was recognized as a Rising Star within private equity by the National Association of Investment Companies (“NAIC”). Biyi holds a BA in economics from Amherst College.